Abu Dhabi (United Arab Emirates) – January 24, 2018 (travelindex.com) – The complex relationship between hotel owners, operators and online travel agents (OTAs) is keeping prices higher than necessary and could threaten to undermine the Middle East’s hospitality sector at a time when the supply of rooms is set to reach an all-time high. How the hotel sector can find the right balance for investors, operators, marketers and guests will be among the key talking points at the Gulf and Indian Ocean Hotel Investors’ Summit (GIOHIS) 2018 (29-30 January). 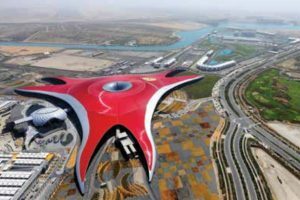 As the Middle East looks to absorb the largest pipeline of new rooms in the world, the challenge of attracting tourists to fill them is set to intensify over the coming years. However, the presence of many stakeholders involved in the region’s hotel sector, each of whom takes a piece of the action, is making room costs unnecessarily high, with limited room for improving value to customers. In the Middle East, the vast majority of hotels carry an international brand. Most guests either book via that brand’s website or, increasingly, they use an OTA which enables them to compare hotel deals and make their booking quickly and easily. Guests have undoubtedly benefitted from the visibility and options presented by booking through OTAs and from the loyalty programmes of the big brands, but as a small number of companies now dominate these two sectors the opportunities for improving value are diminishing at both ends of the market – for investors and customers. Allison explains: “The OTAs don’t own any hotel rooms and most of the brands you see on the building don’t either. However, the OTAs take hefty fees for each room booking and the brands take a slice of revenue and another slice of profit from the hotel owner. At GIOHIS 2018, industry experts will discuss the future of the Middle East hospitality sector, and the potential for creating the best outcomes for all stakeholders. At a session entitled, ‘Coping with downturns and disruptors – do the brands have the answers?’ panellists will debate whether brands can really manage to raise revenues or cut costs for owners in a downturn. In what is set to be a high-octane session, Olivier Chavy, CEO of regional giant Mövenpick, and outspoken hotel owner Suchad Chiaranussati, one of the most active real estate fund managers in Asia, will be joined by senior executives from both Booking.com and Expedia to discuss solutions which meet the interest of all parties. For more information or to arrange media interviews, please contact Thompson.tracey04@gmail.com or call: 055 378 2297. Copyright © 2019 Destination Vietnam. All rights reserved. Powered by Travelindex.